Allow 2 weeks for graduation framed diploma completion, especially during March-June. 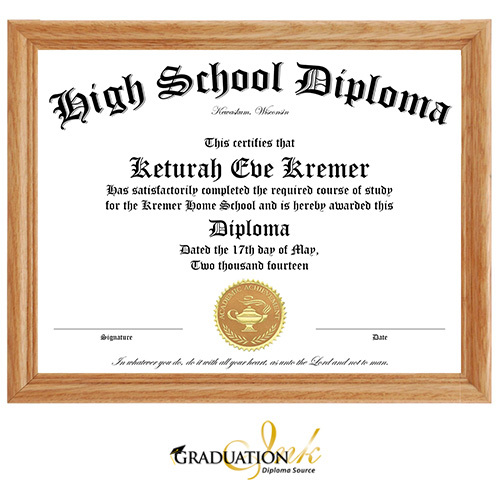 The framed diploma utilizes a classy solid oak 8 1/2" x 11" frame that can be hung proudly in a dorm room or graduate's bedroom. To prevent fading, we cover the diploma in a thin, 3 mil, ultraviolet (UV) protective laminate. A sawtooth hanger is included to allow for hassle free hanging.